G7 Interior Ministers have called for increased operational cooperation and sharing of law enforcement information via INTERPOL to better combat human trafficking, terrorism and environmental crime. 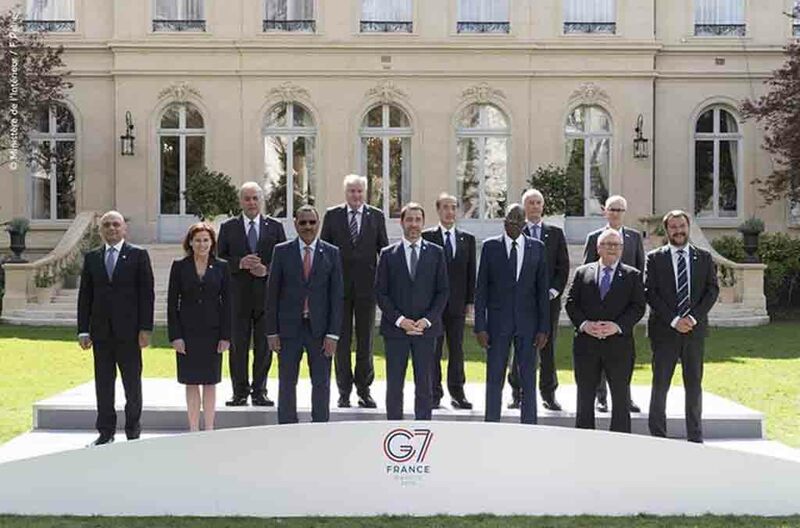 PARIS, France – G7 Interior Ministers have called for increased operational cooperation and sharing of law enforcement information via INTERPOL to better combat human trafficking, terrorism and environmental crime. To address the increasing convergence between different crime areas and terrorism, INTERPOL’s unique global reach is an essential part of ensuring national law enforcement efforts are united. Following the Christchurch terrorist attack, which was livestreamed and shared across various social media platforms, how to better combat the use of the Internet for terrorist and violent extremism purposes – ranging from ISIS to far-right groups – was a key area for discussion. In parallel, with the liberation of ISIS-held areas and the issue of returning foreign terrorist fighters (FTFs), the G7 ministers underlined the need for enhanced military-to-law enforcement data collection, transfer and analysis via INTERPOL. Holding details of nearly 50,000 FTFs – including information gathered from the conflict zones – INTERPOL is the world’s largest repository of such information which could prove vital in identifying returnees. Some 11,000 of the FTF profiles shared via INTERPOL include biometric data such as photos, fingerprints and DNA profiles. 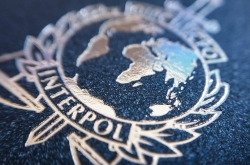 “INTERPOL has the experience and the network to ensure that vital information from the conflict zones is put in the hands of the police officers who need it most, those on the frontline,” said Secretary General Jürgen Stock. “The continued support of G7 Interior Ministers for INTERPOL’s activities in this area is important in making sure this global early warning system is as effective as possible,” added the INTERPOL Chief. 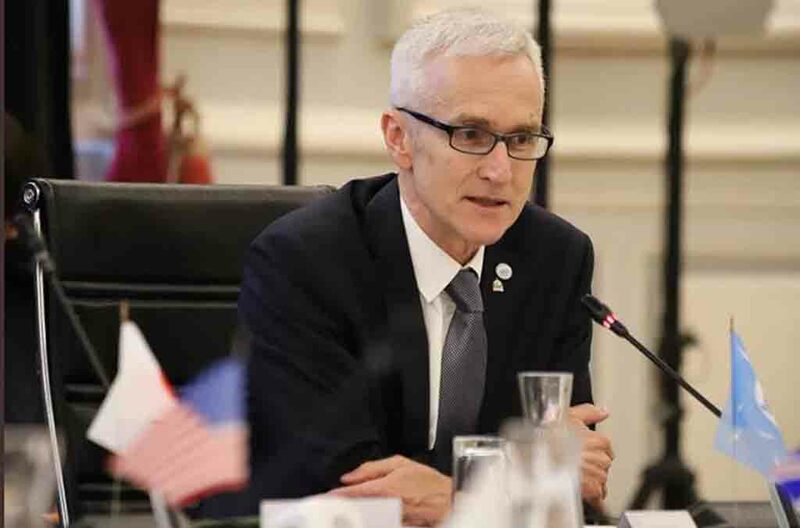 INTERPOL Secretary General Jürgen Stock represented the global law enforcement community at the G7 Ministers of the Interior meeting in Paris. Project FIRST (Facial, Imaging, Recognition, Searching and Tracking) is among INTERPOL’s initiatives to assist member countries enhance their border security through the use of biometric data – such as fingerprints and facial recognition – on FTFs and other individuals linked to terrorist activities. 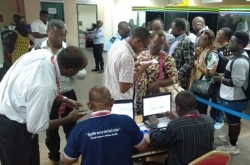 In this respect the importance of systematically integrating biometric data into information available at border controls in order to prevent identify fraud by FTFs was underlined by the G7 ministers. The meeting also highlighted the need for strengthened border control mechanisms to prevent human trafficking and migrant smuggling. To this end, Secretary General Stock updated the G7 ministers on new INTERPOL initiatives to help identify links between the different criminal networks involved. In addition to human trafficking and terrorism-related issues, the outcome declaration from the two-day meeting also included calls for stronger efforts to fight environmental crime through increased cooperation with INTERPOL. 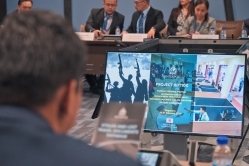 With environmental criminals estimated to generate between USD 110 and 281 billion in illicit profits each year, the G7 ministers said national law enforcement capabilities to conduct transnational investigations and operations needed to be enhanced along with increased information-sharing via INTERPOL. G7 Interior Ministers called for increased operational cooperation and sharing of law enforcement information via INTERPOL. The need for a collective approach by law enforcement agencies, customs, environmental agencies, prosecutors and NGOs – as per the National Environmental Security Task Force template developed by INTERPOL – was also underlined at the meeting.